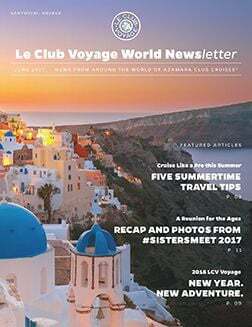 The world of Azamara Club Cruises® moves fast, but our latest Le Club Voyage Newsletter is here to keep you informed. 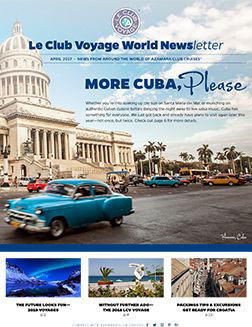 Inside, you’ll find exciting news about future voyages to Cuba, a curated list of must-dos in Greece, an insightful interview with Hotel Director Heike Berdos, some tasty new menu options for Discoveries, and so much more. Read up and get inspired to travel. Enjoy! Does the heat of summer have you thinking about travel? Perfect timing. Our latest LCV Newsletter just dropped and we’re excited to share the latest news, offers, and insight that will help you travel the world #AZALOCAL this year and beyond. 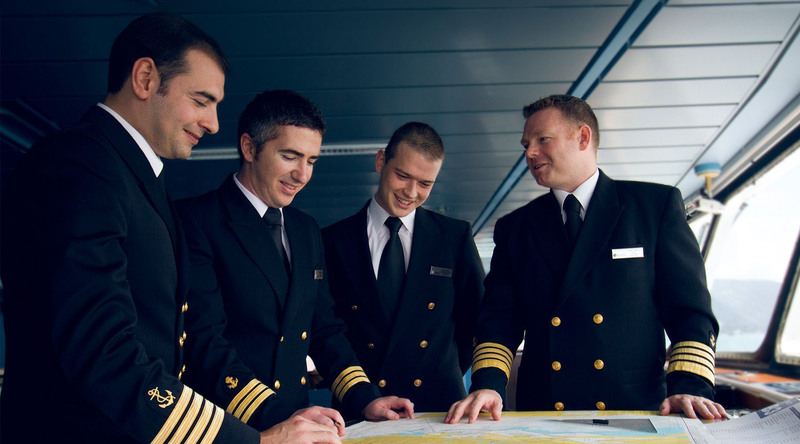 We have summer travel tips, words from our President & CEO Larry Pimentel, a beverage upgrade announcement, and much more. Looking for some fresh reading material? We’ve got you covered. 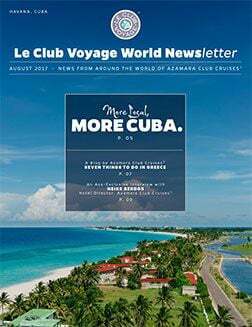 Our new Le Club Voyage newsletter just dropped and we’re excited to share all kinds of exciting Azamara news with you for April 2017. We’ve got new offers and benefits, new itineraries, some fun facts and personal anecdotes from Nicole Lukacs, our LCV Ambassador, and Larry Pimentel, our President and CEO. Dive in and enjoy.